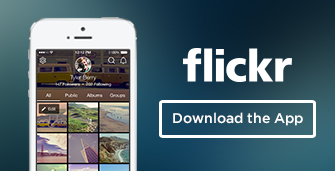 Flickr is a photo and video-sharing community run by Yahoo. Millions of members from all over the world are uploading photos and video that they have created, each sharing their unique view of the world. When using Flickr you can post, sort, and share photos and videos you have created with friends, family, and folks from across the globe. Individuals 13 and older are welcome on Flickr. People age 13 to 17 have certain restrictions for their safety, including what types of groups they can access and who can see their content. Flickr screen name: Your Flickr screen name is your public name, visible to and searchable by everyone on Flickr. It displays when you make a comment or make someone's photo one of your favorites, and it displays on your profile picture or when you join a Flickr group. Note: It is possible for more than one person to have the same Flickr screen name. Location sharing. Flickr offers geotagging, which shows the locations of your public photos on a map. This means that for each photo you take on the many stops of your European backpacking trip, geotags will show the location where each picture was taken. If you geotag your hometown hangouts on public photos, it's possible to disclose more information than intended. To prevent this, change the location privacy for your photos, or create a geofence (a location with special privacy settings for private places, such as your home or your child's school). Capture beautiful photos on the go with our powerful mobile camera and save it all in one place with a terabyte of free space! Download Flickr for iPhone or Android.